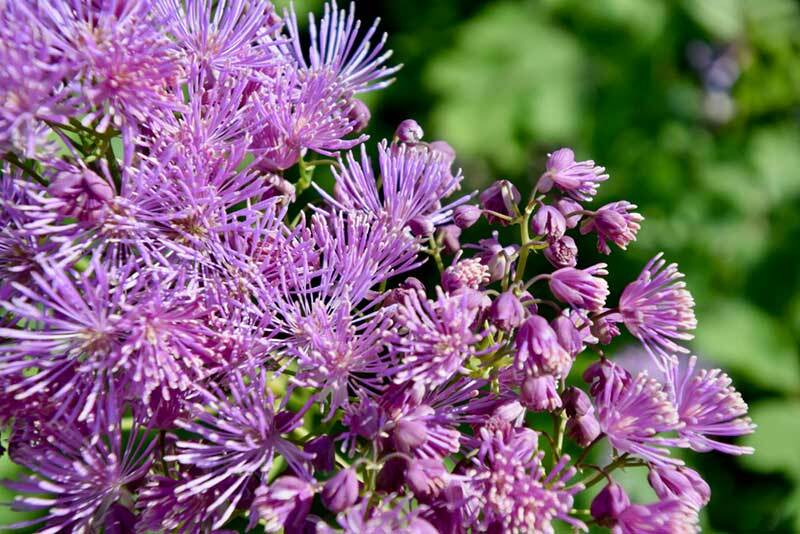 For those who love the color purple in your garden, planting purple perennials is a smart choice. 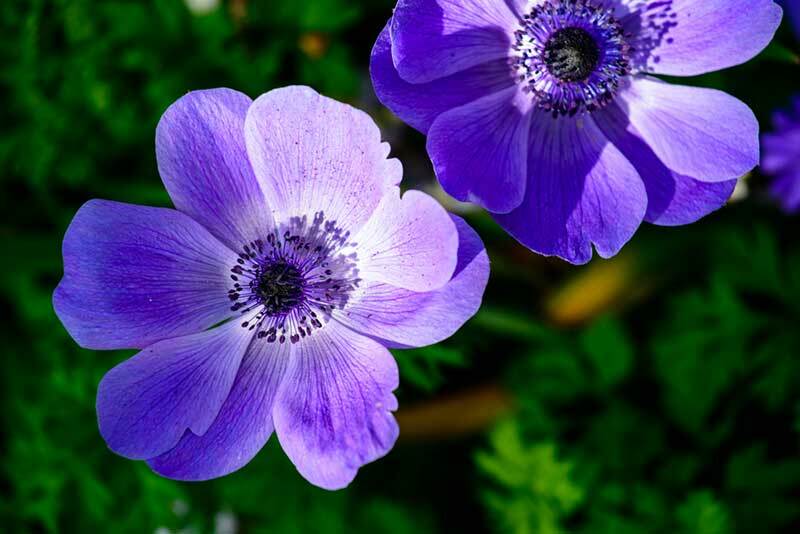 On top of adding a colorful touch to your mostly green landscape, purple perennials do not need replanting which saves you time and money in the long run. One of the most special features of purple perennials is their color. Purple is a naturally soothing color which calms the soul and clears the mind. 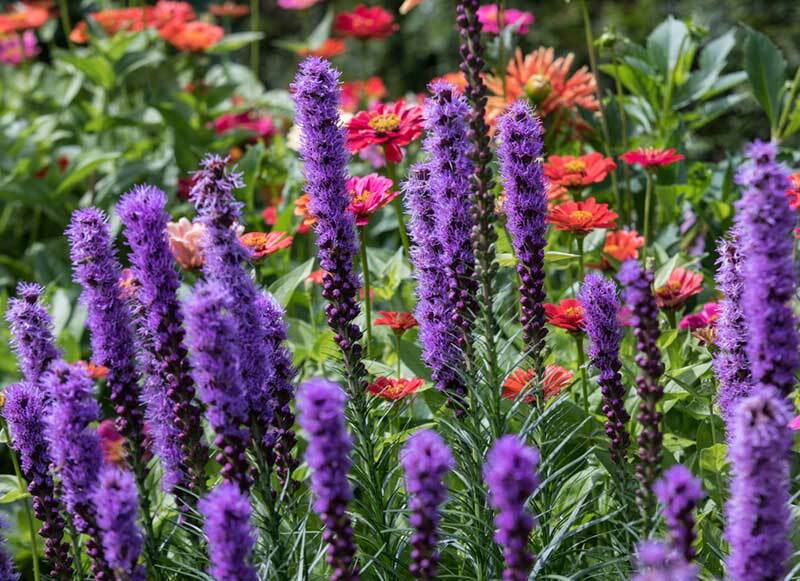 The many different shades of purple perennials make a beautiful addition to any garden and continue to make the garden full of color by coming back each year. 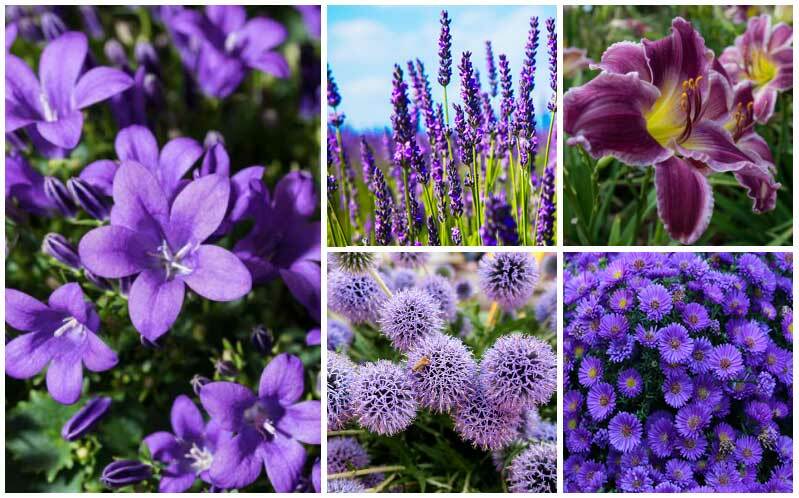 Every purple perennial detailed in this article has its own qualities and beauty that will strengthen the personality of your garden. Many purple perennials attract certain types of butterflies, bees, and other insects as well as wildlife. 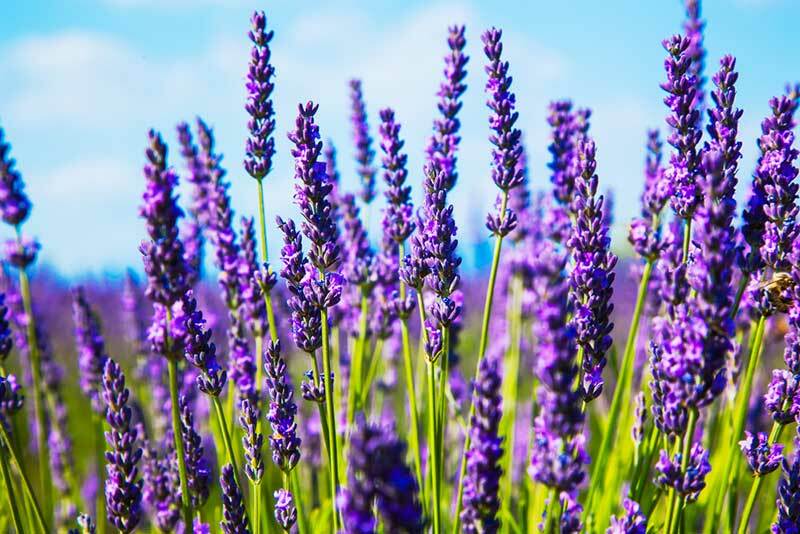 Even household plants can grow fond of your purple flowers, such as cats that have been known to take a particular interest in Lavender plants. 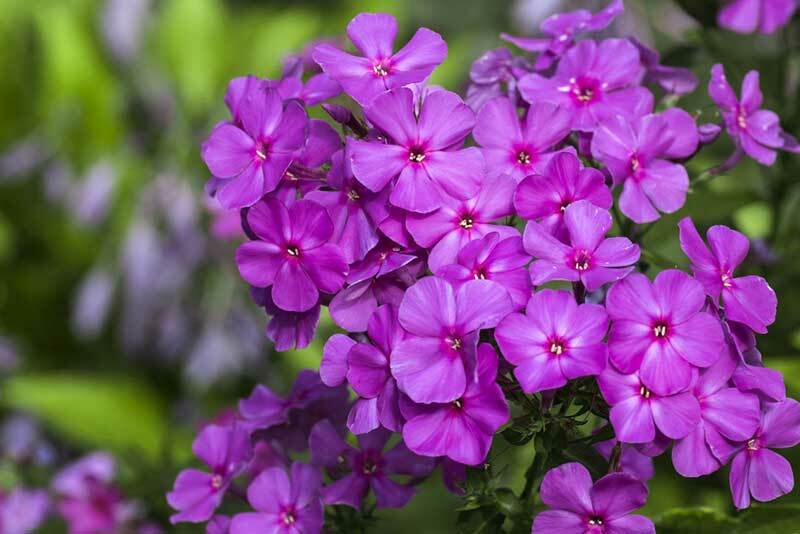 On top of their beautiful and unique colors, they will fill your garden with unique smells, unlike any other plants. 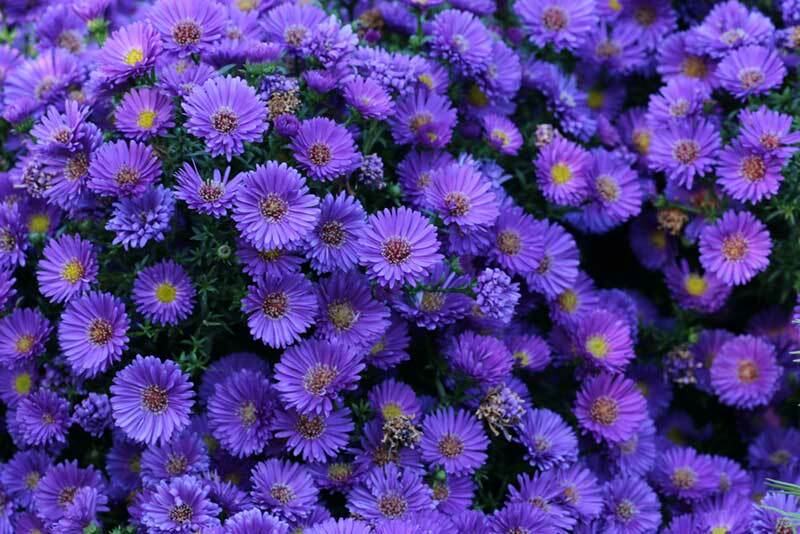 These pretty bell-shaped flowers are generally in blue, or purple hues. 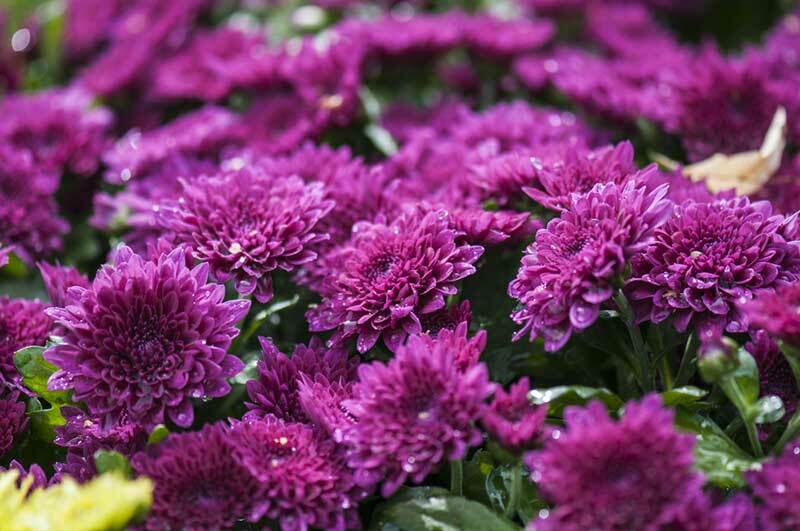 They generally are very easy to grow and bloom best in cool-summer areas. For best results, you should sow seeds in Spring. 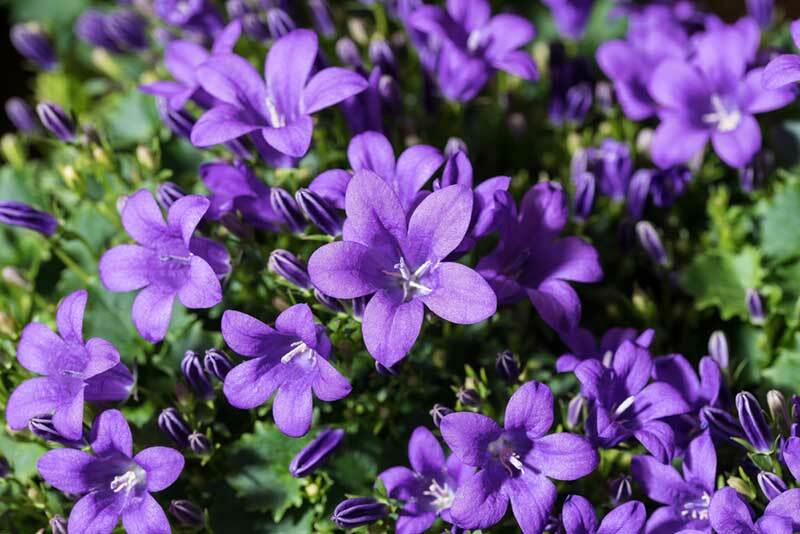 Depending on the species of bellflowers you plant they will range from creeping groundcovers to mound-forming plants, or tall plants. 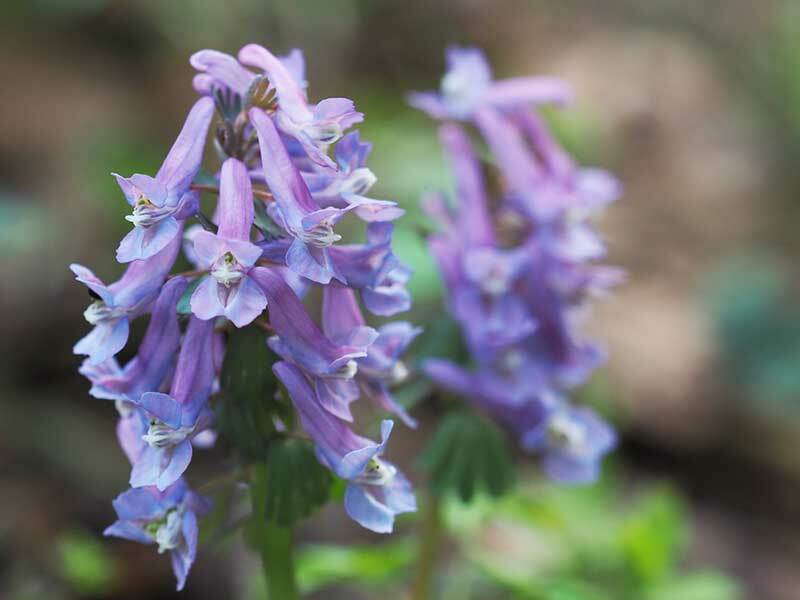 Corydalis grow in large mounds of fernlike leaves with delicate small flowers. It blooms best and abundantly in Spring but can continue to bloom even in the summer and fall. It can grow as tall as 12-15 inches and spread up to 12 inches wide. 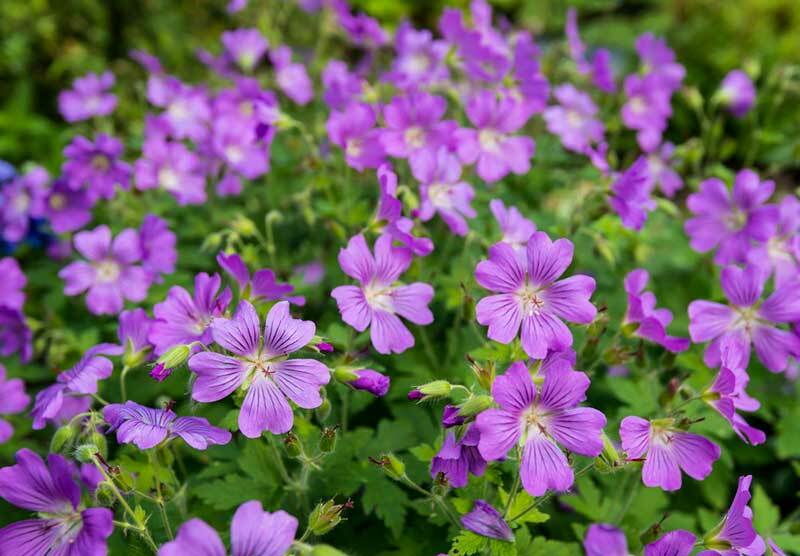 Geraniums are mound forming plants with a starlike five-petaled dainty flower. It blooms best starting in spring to mid or late summer. It can grow as tall as 2 feet high and spread to about 2 feet in width. These plants are easy to grow and can be grown in a variety of climates as long as their soil is well-drained or dry soil. 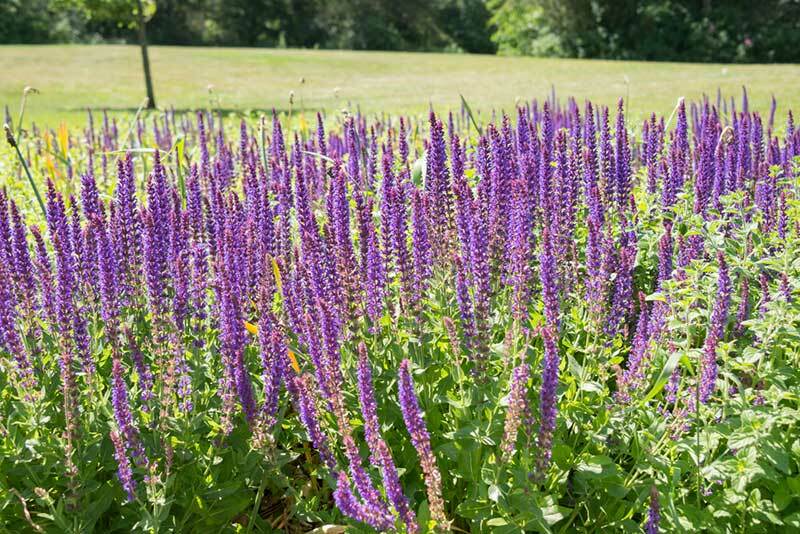 Salvia grows on a four-sided stem, paired leaves with spikes of tubular, two-lipped purple flowers. They bloom best in the summer and prefer full sun or light shade. 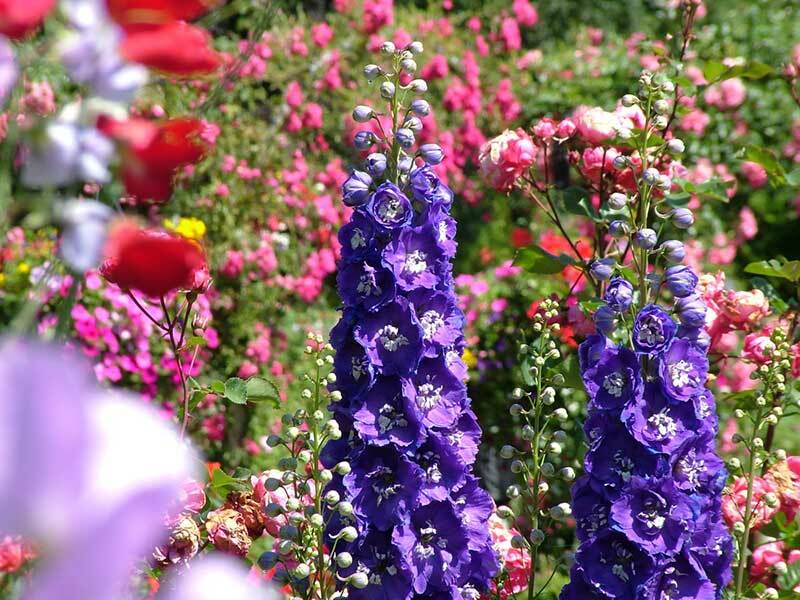 They can grow anywhere from 18-48 inches tall, making these plants a serene look in your garden. Tradescantia is a grass-like, arching foliage type of plant with an upright stem flower. Though their flowers only last a day this plant produces an abundance of flowers to keep you enjoying your blooms. They grow and bloom best in full sun with well-drained, moist soil from early summer through early fall. They grow from 1-2 feet tall and spread 18-36 inches wide. If you have hot weather plant Verbena in your garden. 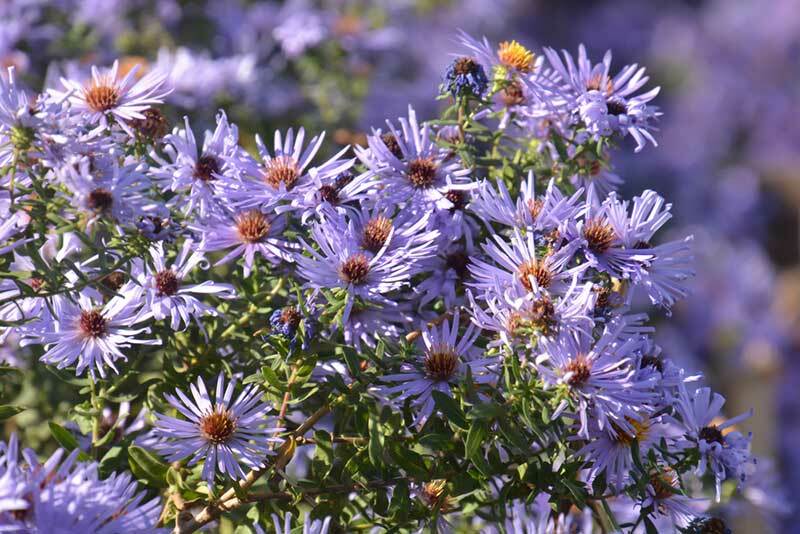 These plants thrive in hot, humid summers and bloom through mid-fall. 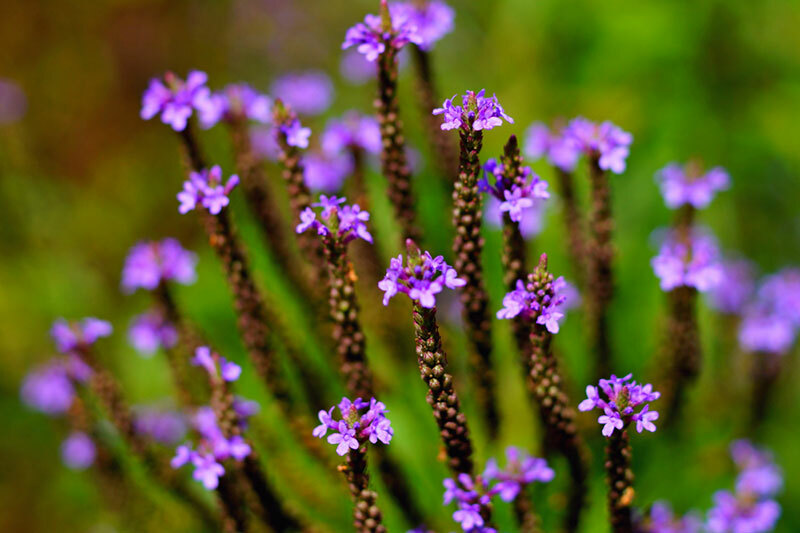 They have four-sided stems with spikes of funnel-shaped purple flowers that sprout between mounding greenery. They grow from 6-18 inches tall and spread from 18-36 inches wide. 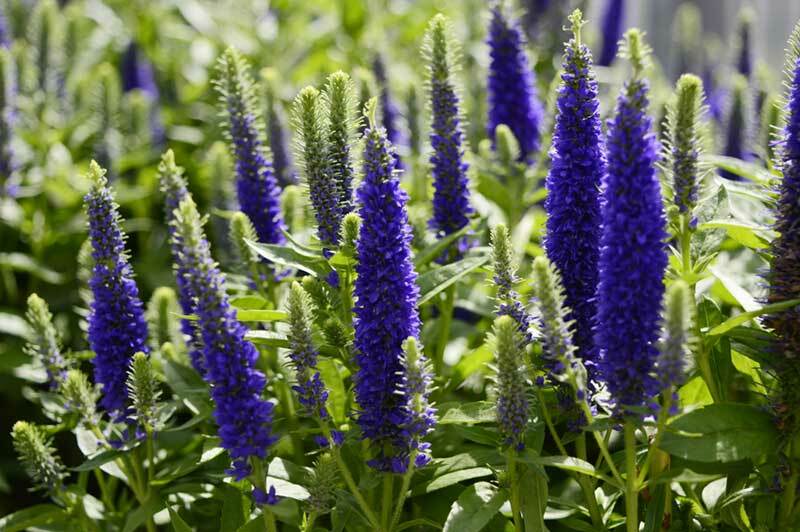 Veronicas are a great, easy to grow choice that will thrive and adapt in various conditions. They bloom from late spring through summer with a narrow spike flower and beautiful green foliage. 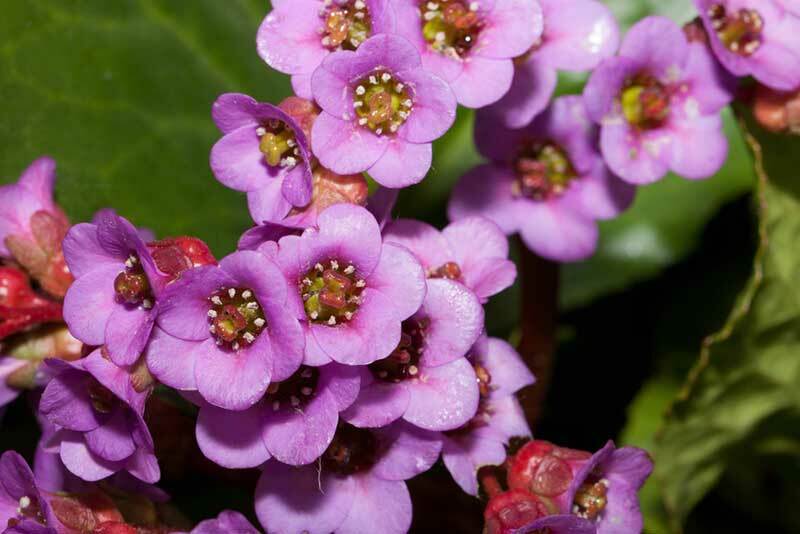 These dainty flowers are spring blooming plants that will add beauty and charm to your garden. They bloom best with some shade and rich, moist, slightly acid soil. These tall stemmed flowers will bloom from late spring through early summer and thrive in full sun. They can grow from 4-40 inches tall and spread 10-24 inches wide. They are a beautiful contrast from flower to green foliage that will have all mesmerized by their beauty. These dainty bunches of flowers bloom in clumps that add pure color to any garden. Their five-petaled flowers grow above their green foliage and cover it with color. They grow between 6-15 inches tall. 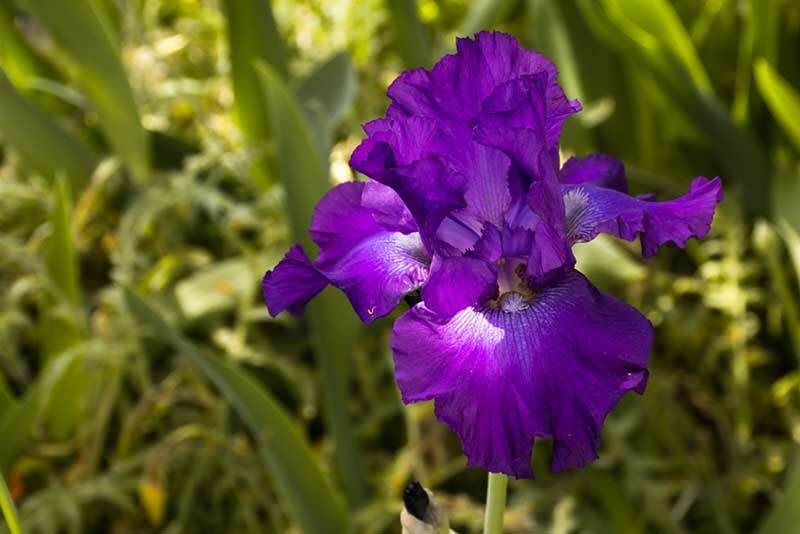 They bloom best in the Spring with average, drained, slightly acid to alkaline soil. 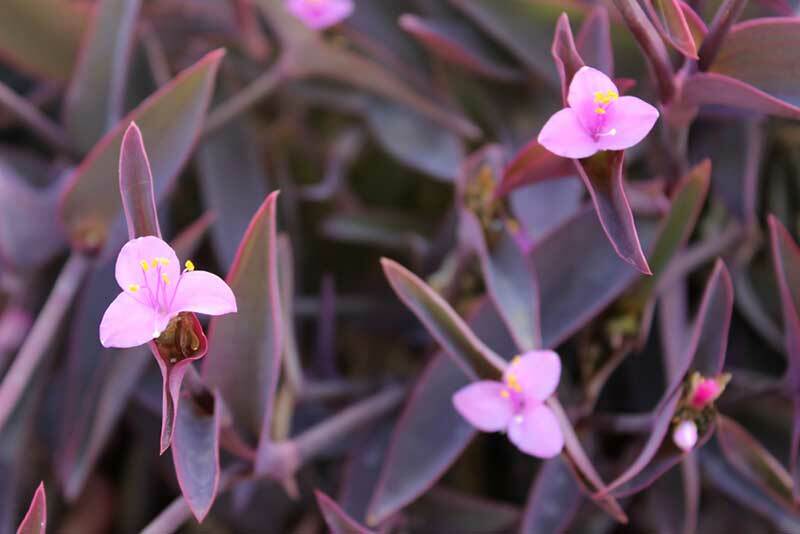 This summer- blooming plant needs full sun, or very little shade to sprout into the tall stalk with beautiful purple flowery blooms it produces. These blooms attract natures beauties like the butterfly or hummingbirds. They grow 3-4 feet tall. These summer-blooming flowers filled with its many petals are just a breath of fresh air. They prefer full sun and average to fertile moist but well-drained soil. They bloom in clusters above a 2-3 foot stem and can range from 30-36 inches wide. Boltonias are late summer bloomers and thrive in full sun. They resemble baby’s-breath, but give a look of flowy bunches of flowers just filling your garden for 3-4 feet wide. They are 2-5 feet tall and should be planted in an area that has space to be appreciated for its overwhelming bunches of flowers. These late summers to late fall blooming beauties look a lot like daisies and grow in mounds. They prefer full sun and grow 1-3 feet tall and 2-3 feet wide. These bunches of flowers are sure to cause pure delight in any garden. 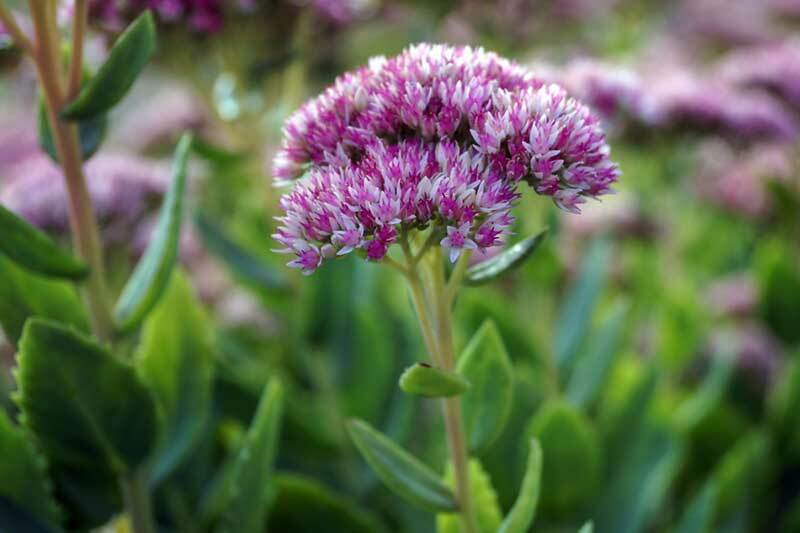 Flowers on the Sedum plant grow on thick-like stems with large leaves in the late summer to late fall seasons. They grow well in full sun to partial shady areas. They can grow as tall as 4-24 inches tall and spread from 12-48 inches wide. These dome-like flowers can cheer anyone up with it’s full rounded bloom. 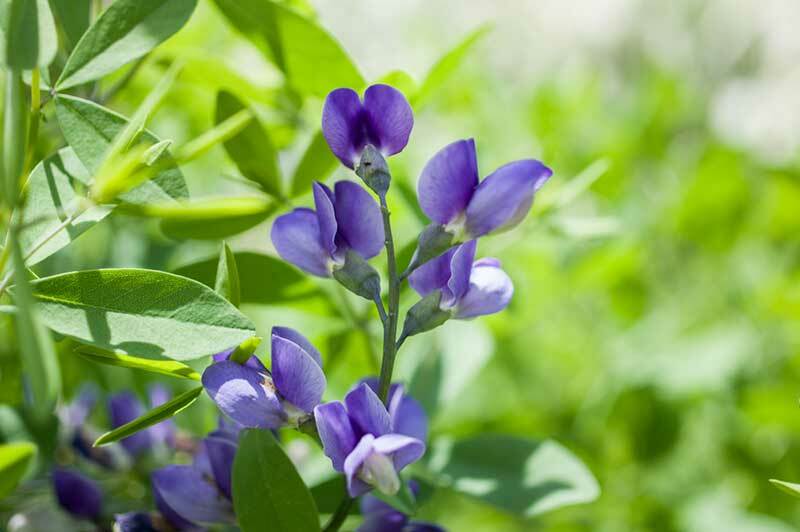 These low-maintenance plants are a great addition to a garden with their tall lupinelike spikes with a pea-shaped stem of flowers. They tend to grow slowly but will bloom for a long time. They prefer full sun and bloom best from late spring through early summer. 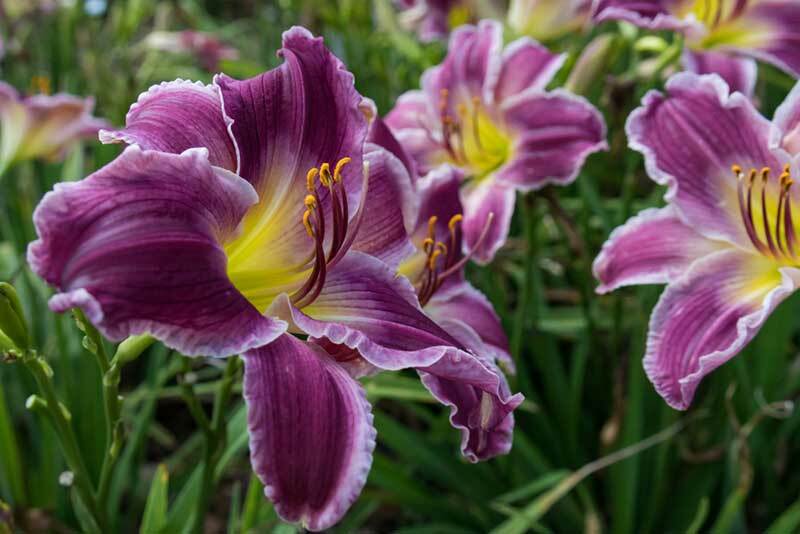 Daylilies are a very popular, pretty choice for a garden with its green grass-like stems and trumpet-shaped bloom. They bloom in various seasons but prefer full sun and humus-rich well-drained soil. They stand from 10-72 inches tall and can spread 1-5 feet in width. These plants have one of the most amazing leaves, they are round and large with a lightly toothed edge. Their bloom is an open rosette with a beautiful five-petaled flower. These plants are versatile in their season bloom and prefer full sun with humus-rich, moist but well-drained soil. This plant is a low maintenance plant that has thin stalk-like stems with wedge-shaped toothed leaves. Their bloom is a large fuzzy flower puff that will cheer up any garden. They grow best in full sun gardens. 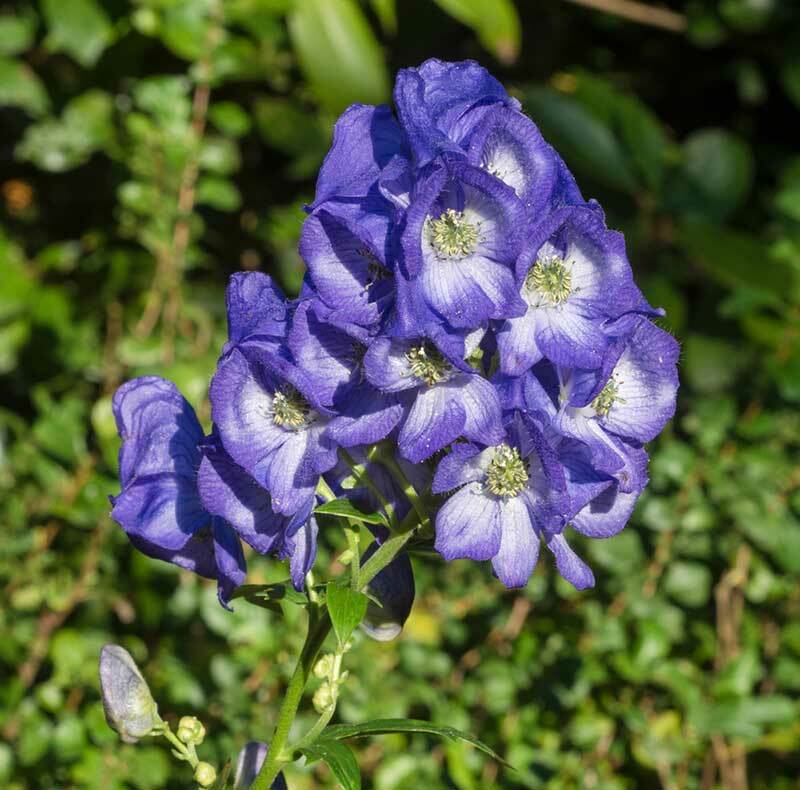 Monkshood have very simple thin green stem where the flower blooms from in a five-petaled bloom similar to a helmet. They grow best in full sun and can grow as tall as 2-3 feet and span about 1-2 feet wide. They bloom best in late summer through early fall. 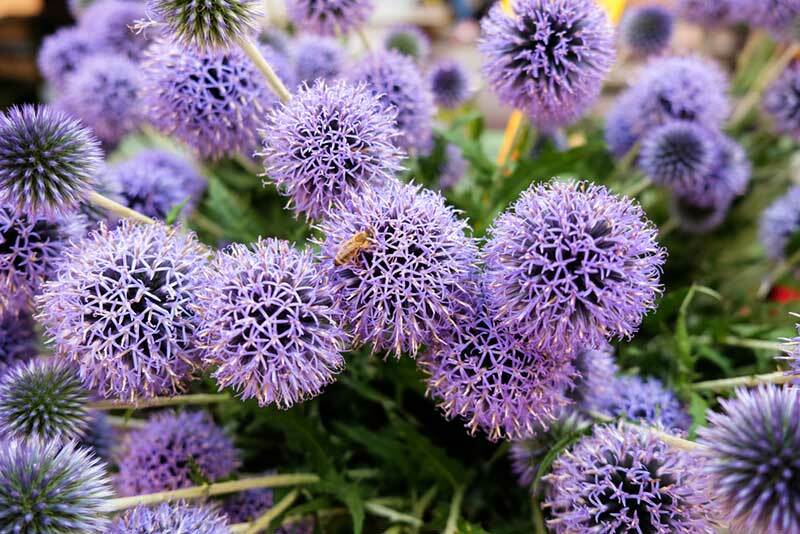 These feathery looking spike-like flowers are just divine to the human eye. They bloom from dense tufts of narrow grass-like basal looking leaves. They thrive in full sun with any type of soil from mid-summer through early fall. This delightful fragrant filled, relaxing bloom is a must. This plant has grayish or silvery evergreen leaves leading up to their spike-like fragrant filled blooms. They bloom best in late spring through late summer in full sun with poor, well-drained soil. These gorgeous onion shaped blooms look as pretty as can be in any garden. They bloom best in mid-summer and can grow anywhere from 15-22 inches tall. They have shiny grasslike bunches of green foliage. They will attract butterflies into your garden making it a serene environment.